There’s nothing more heartwarming than hearing one of your recent obsessions cover one of your all-time favorites. Live covers reaffirm why music keeps us interconnected—they link artists, genres, and sounds that we never thought could live in harmony. When it comes to these new renditions, maybe it’s not about who outdid who, but more about celebrating music through a different lens—one that gives a song we already love a completely new dimension. 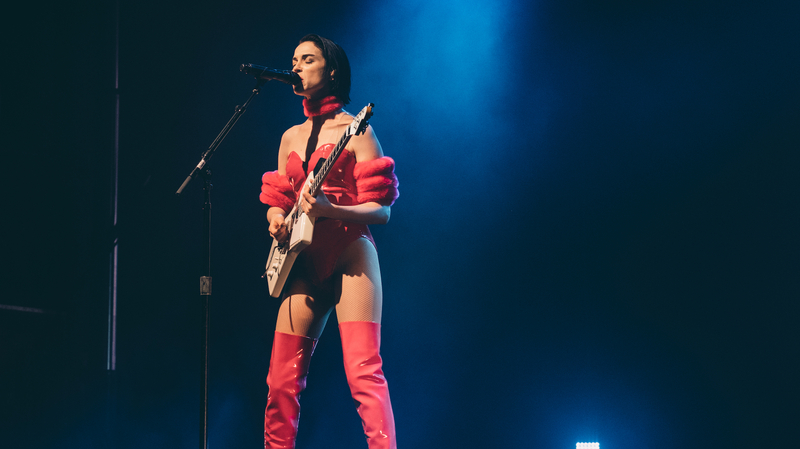 From St. Vincent's take on Nirvana to Paramore's fresh take on a Drake bop, the following tracks give us both a newfound respect for the original recording artist, as well as the ones who daringly took a stab at a classic. Press play on some of our favorite live covers below, then make sure to Track the acts on Bandsintown! Not many artists can say that they’ve had a chance to get on stage and perform with one of their faves. St Vincent, on the other hand, not only got to perform with Dave Grohl, Pat Smear and Dave Grohl, but she stunned us in the process. Joss Stone’s and Lianne La Havas' voices independently sound like music to our ears, but the two of them together will enkindle awe in you like you’ve never felt before. Taking on “Crazy”, one of those songs that will never get old, the two songstresses give us the duet that we’ve been waiting for. When a member of one of your favorite groups passes, it becomes hard to listen to an upbeat song like this one the same way. Coldplay’s moving rendition is certainly more somber than the original, but properly pays tribute to the revolutionary Adam Youch. The young, but astonishingly talented British artist Jorja Smith made her first performance at Coachella a memorable one by blessing us with a unique take on the girl power anthem we love to belt out in any and every scenario: “No Scrubs”. Accompanied by her acoustic guitar, 16-year-old Billie Eilish gives us the chills with her soft, yet electric spin on one of Michael Jackson’s most popular songs. Eilish proves that you’re never too young to appreciate the classics. Looks like we have to add covers to Childish Gambino’s long list of talents. Gambino uses his impressive vocal range and suave feel to give us a glimpse into one of his favorite classic R&B tracks, “So Into You”. Is there anything this guy can't do?!. Attempting to cover a legend like Bowie is a risky move. Even Beck knew that to undertake a grandiose song like “Sound and Vision”, he would need to get a whole orchestra involved. However, Beck successfully pays tribute to the icon with his innovative reimagining of this timeless song. When we talk about covers you never knew you needed, Paramore covering Drake is a perfect example. Haley Williams’ smooth voice practically transports us tropical Island with this unforeseen cover of the Toronto rapper’s song. Although many would consider this an unlikely cover, Lorde shocked her live audience (in a good way) with this rendition of what is arguably one of Kanye’s most aggressive songs, leaving her fans begging for a studio version. Some things are so beautiful they hurt: sunsets, weddings, the song “Godspeed” by Frank Ocean, and James Blake’s rendition of Godspeed by Frank Ocean. Watch at your own risk, because this ethereal piano cover of an already beautiful song might move you to tears.